The next time you use a credit card to order a cup of coffee from your favorite cafe, you might find it comes with an unexpected side order: guilt. Businesses are doing everything they can to ensure that credit-using customers who don't carry cash aren't getting a free pass at the tip jar. Starbucks announced Wednesday it will release an update to its popular payment app that will prompt customers to tip their baristas when they pay with credit via their smartphone. Suggested tips start at 50 cents and go up to $2. And now that ordering meals online has become de facto in big cities, sites like Seamless do more than suggest a tip — they calculate it in real time as customers fill up their cart. For Seamless, tips default to 10% of the final bill (post-tax) and $2 on orders under $20. Don't feel like tipping? You have to physically click on the tip box in order to be a cheapskate. Thanks to the advent of new payment technologies, it's become even easier for small businesses to nudge consumers into tipping more than they would have normally. When New York City cabs were forced to start accepting credit cards in 2007, drivers cried foul over swipe fees. But it turned out that giving customers an option of 15%, 20%, and 25% tips most often lead them to tip more than they would have if they paid cash. Within two years, taxi revenue jumped 13%. East Coast coffee chain Joe Coffee only started accepting credit cards last year after it adopted a program called Square Stand, a device that turns iPads into mobile cash registers and prompts customers to tip before they can finish their transaction. 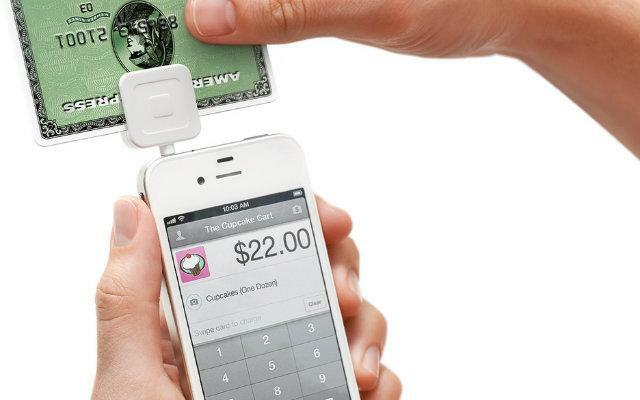 The stand is the latest offering from Square, the popular point of sale software created by Twitter co-founder Jack Dorsey in 2009. Square’s software is meant to serve small businesses that deal with smaller transactions (the average purchase at Joe’s is under $5, Neckermann said). These are the kinds of places that are usually slowest to adopt credit card scanners, which can take a big bite out of their bottom line — up to 3% per transaction, plus monthly operating costs. The hope is that by adopting Square, whatever they lose in swipe fees (2.75% per transaction with no monthly charge), they’ll make up for with those suggested tip boxes. But what is it about that little nudge from tip suggestion boxes that makes customers more likely to loosen their purse strings? Stephan Meier, a professor of behavioral economics at Columbia University’s School of Business, says it has more to do with human psychology than generosity. “There is a huge psychological difference in how you perceive the cost of paying with a credit or debit card versus cash,” Meier says. Behavioral economists call it the “pain of paying,” a concept that explains why consumers are more likely to spend more when paying with plastic than paying with cash. When you’re making a credit card transaction on a device equipped with a program like Square, you’ll see a few tip options. Let’s say it starts with 15%, then 18% and 20%. Tipping at the higher rate may not feel as painful as if you were paying cash, because you aren’t physically reaching into your wallet and pulling out those extra bucks. The machine makes the process easy and painless, setting the perfect “trap” for customers. When one of Meier’s doctoral students, Giovanni Paci, conducted a study of more than 13 million taxicab transactions last year, he discovered an interesting effect of tip suggestions. Although some customers were likelier to spend more when prompted by tip suggestion boxes when paying credit, they could just as easily be discouraged from tipping if suggested amounts seemed too high. Paci and co-author Kareem Haggag call it the Backlash Effect: when customers have an idea in their minds of what a fair tip amount would be and they’re given an option that’s much higher, they might be more likely to punish the drivers with a lower tip. The Backlash Effect is something any business with suggested donations has probably taken into account before setting their prices. Pretty soon, it seems we won’t be able to go anywhere without being confronted with a “tip trap.” Last month, Square announced a major addition to its line of what has typically consisted of small-time clients — Whole Foods. The grocery giant is the first national grocer to adopt Square technology, which it will use for sales at its in-store vendors, like juice stands, pizzerias, and, of course, the coffee bar. Nonetheless, no matter how many nudges you get to up the ante, the decision to tip or not to tip is your choice and should be based on quality of service — not guilt.